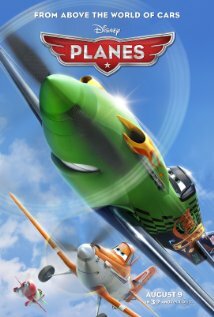 A cropdusting plane with a fear of heights lives his dream of competing in a famous around-the-world aerial race.Dusty Crophopper is a little cropduster plane with a fear of heights and a crazy dream of being a racer. While his friends need convincing, Dusty gets the training he needs from Skipper, a veteran fighter, and qualifies for the Wings Across the World race. In the event, Dusty finds competitors who soon learn that there is something special about this underdog as he is tested to his physical and emotional limits. In doing so, Dusty soon finds enemies, and more importantly friends, who are inspired by his dream. In the face of all obstacles, the winner of this air race will be anyone's guess.